Dear El + Em: A Big Sister! Oh, just some news. No sense hiding it anymore! The day after Christmas, Hubs and I found out that Baby Sko #2 is on the way! We're excited to welcome another sweet baby into the family. "Sko Dos" is estimated to arrive around September 5th. That puts Ella and her little sib almost (maybe even to the day) exactly 3 years apart! Ella's birthday is September 3rd, so we'll see if she ends up with a birthday bud! 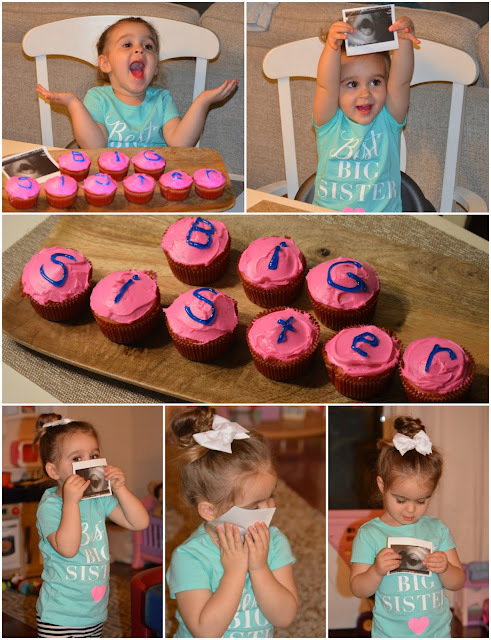 It's going to be so fun to watch Ella be a big sister! Something tells me she's going to be amazing at it! It turns out that our little loud-mouth has been talking about her new upcoming role at school...so obviously she's psyched! We all are! Congrats! We may hopefully make our little a big brother next year too.